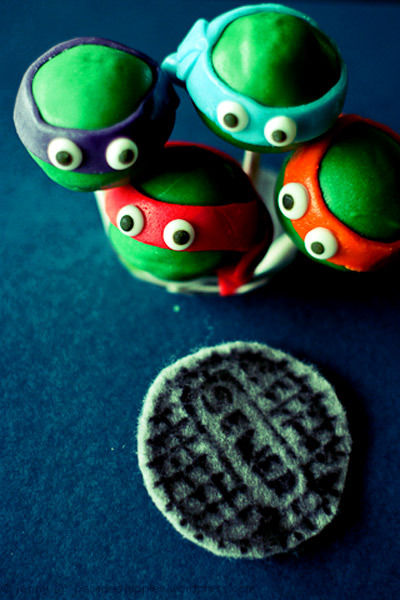 If you’ve been seeing these Ninja turtle cake pops on the net and you were wondering what it would be like to get a little a taste of Cowabunga, wonder no more! My friend Ivy Fong has posted a super easy recipe for cake fondant. The finished product has the consistency of play-dough and is a hundred times as tasty, so why stop at Ninja Turtles? Why not Splinter, Shredder, or the TechnoDrome? With some marshmallow fluff, powdered sugar, vanilla, and food coloring, these powers of creation could be yours!